This is the one! 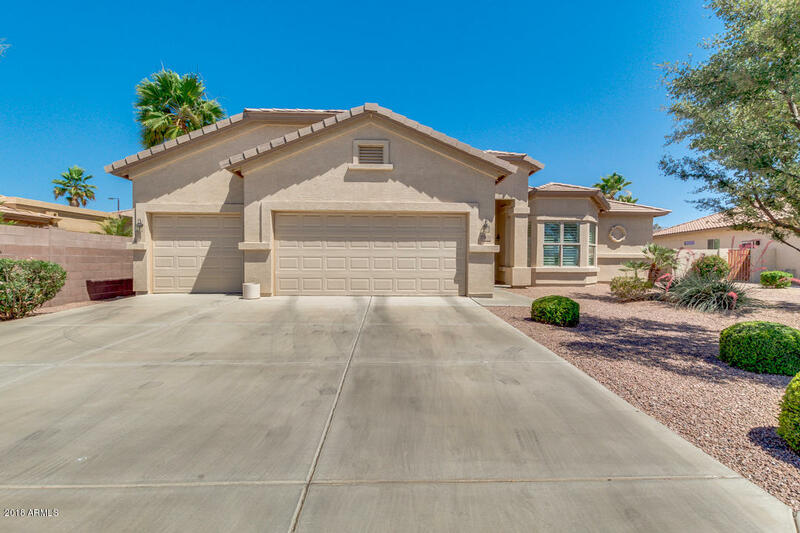 Lovely upgraded Sedona model overlooking the 5th fairway of the Lone Tree Golf Course and expansive views of San Tan Mountain. Original owner has meticulously cared for this home and it shows. You'll love the upgraded cherry cabinets throughout, Corian counters, 18'' diagonal tile, neutral tones for paint and carpet make it a breeze to decorate with any decor. This open, great room concept is perfect for entertaining with a kitchen island, eat-in breakfast nook and a formal dining room off the family room. Three full bedrooms all featuring walk-in closets and tons of storage in the oversized 3 car garage with built-in cabinets. This a perfect home in such an amazing location. Don't miss out! !